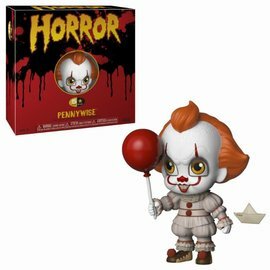 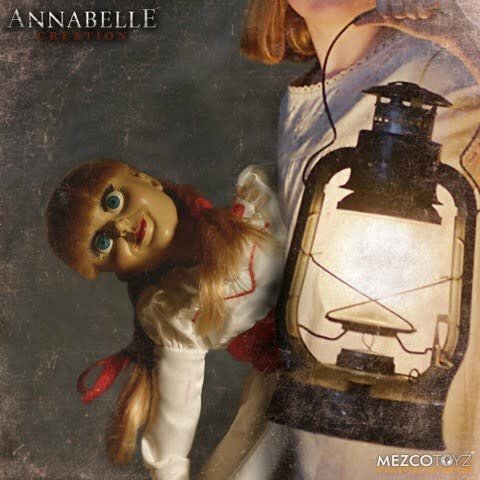 Mezco introduces a newly designed Annabelle doll from the Warner Bros film Annabelle: Creation and it's sure to send chills down your spine. 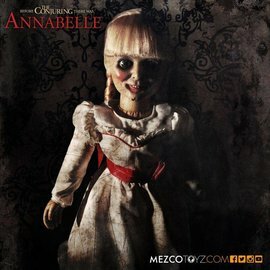 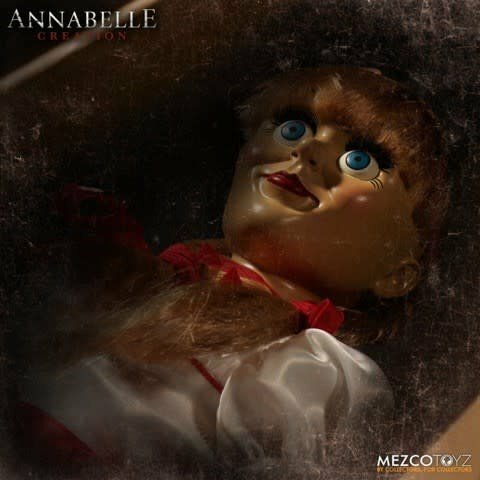 Standing at approximately 18 inches tall, Annabelle features time-honored construction used for over half a century. 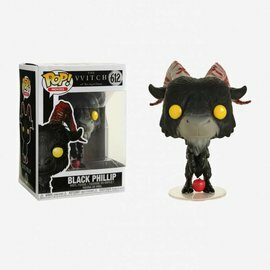 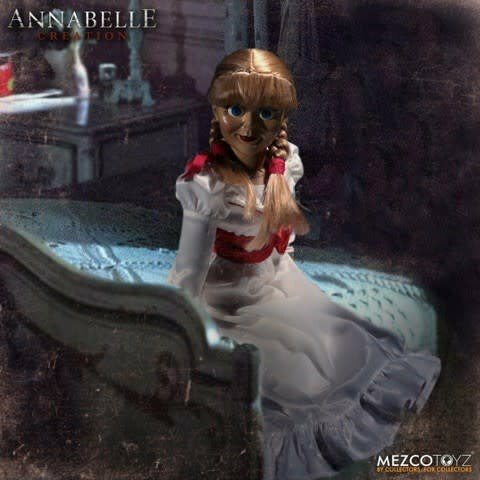 No detail has been overlooked from her rotocast-molded head, hands, and feet to her authentic plush constructed body. 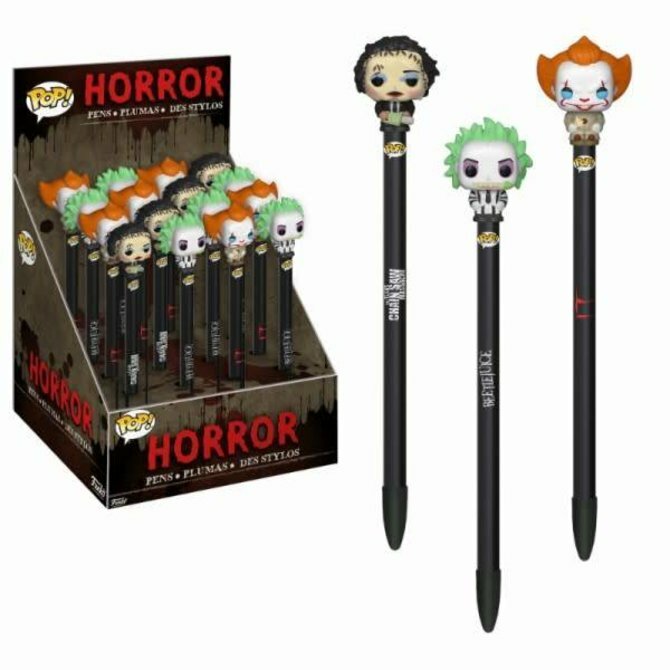 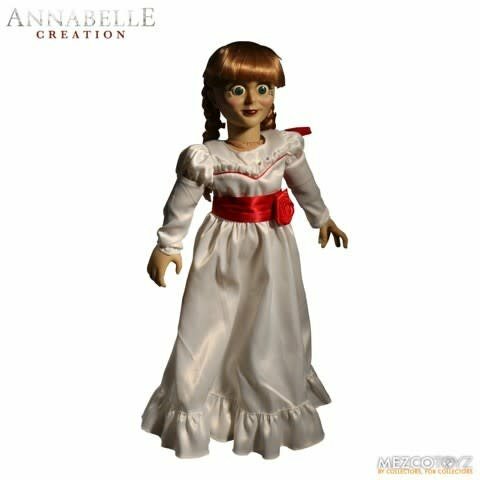 Her rooted hair, film-accurate dress, and decoration will have you thinking she stepped right off the big screen if you didn't know any better. 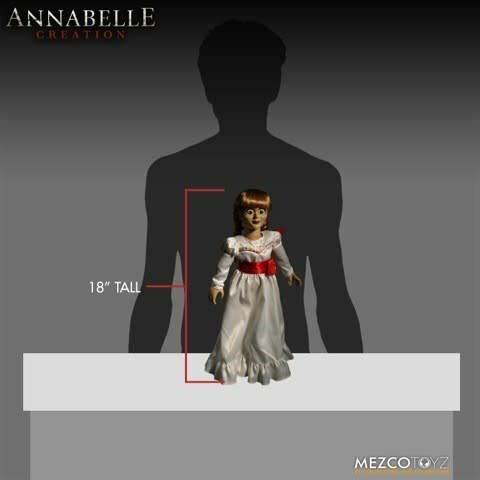 First introduced in The Conjuring, horror fans got their initial glimpse of Annabelle behind an enclosed case in the possession of demonologists Ed and Lorraine Warren. 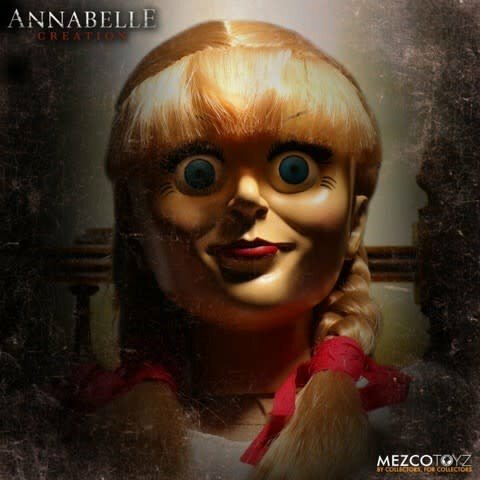 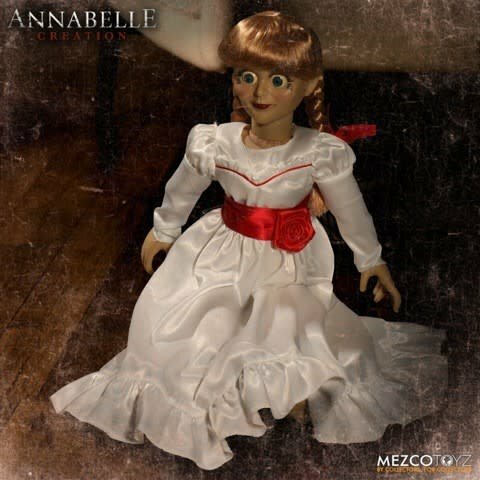 Annabelle then returned for her own self-titled film where her origin story was revealed. 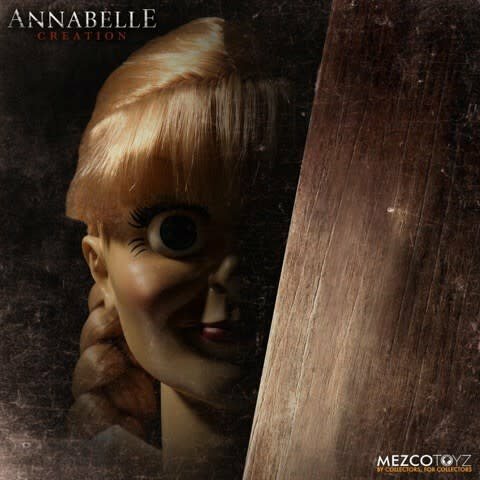 Now, in Annabelle: Creation, fans of the series finally learn how Annabelle came to be as she terrorizes a group of orphans in the home of Samuel and Esther Mullins. 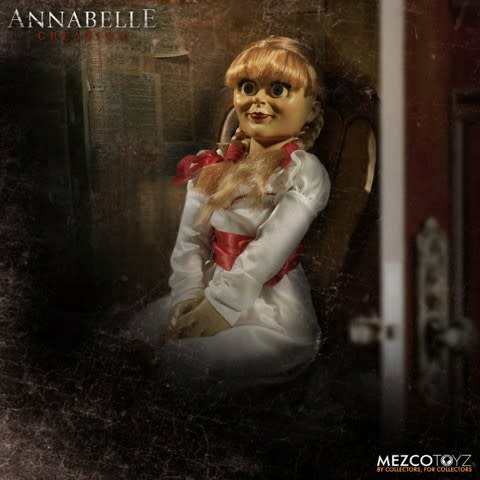 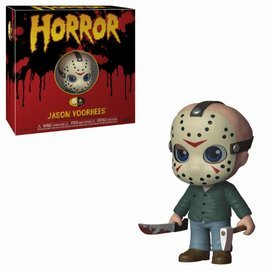 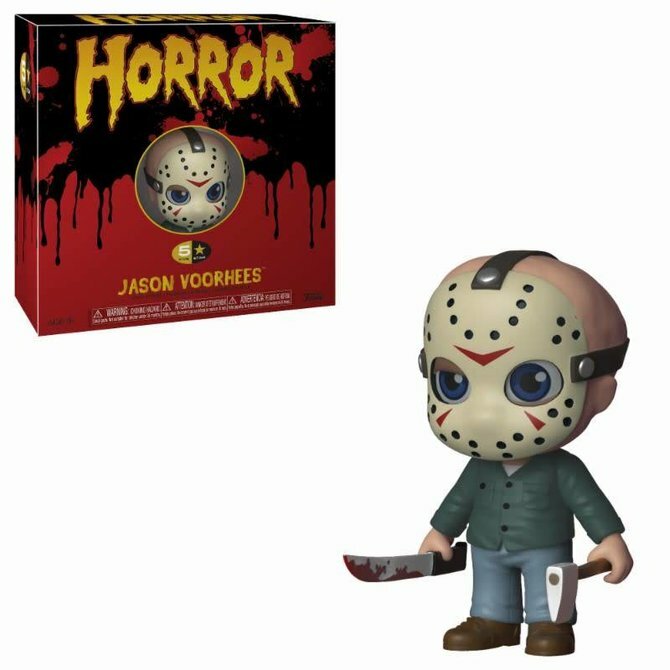 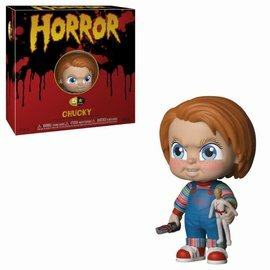 Annabelle comes complete in a collector-friendly window box so you can keep an eye on her as she keeps an eye on you, waiting for the right time to make her escape.